Hi Peeps, i thought of starting this topic for a little fun, just post a picture of your favorite book cover design! I know we're not supposed to judge a book by its cover but i cant help admit that beautiful cover makes me pick up a book! 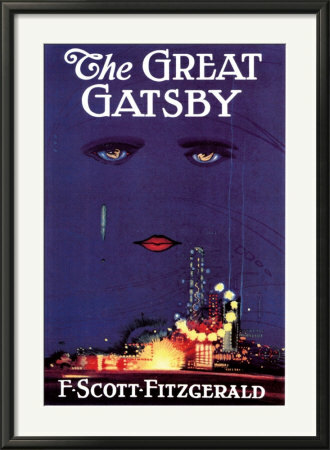 Fitzgerald's remarks about incorporating the painting into the novel led to the interpretation that the eyes are reminiscent of those of Dr. T. J. Eckleburg (the novel's erstwhile proprietor of a faded commercial billboard near George Wilson's auto repair shop) which Fitzgerald described as "blue and gigantic — their retinas are one yard high. They look out of no face, but, instead, from a pair of enormous yellow spectacles which pass over a non-existent nose." Although this passage has some resemblance to the painting, a closer explanation can be found in the description of Daisy Buchanan as the "girl whose disembodied face floated along the dark cornices and blinding signs". 2) Twilight - the red apple against the black background is very distinctive.